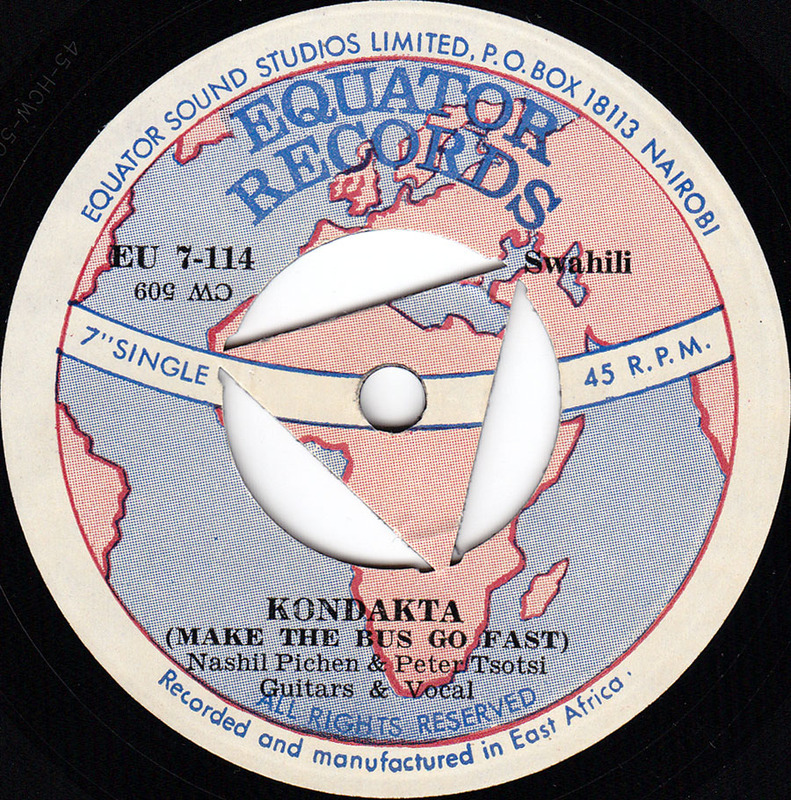 Recorded by Nashil Pichen & Peter Tsotsi on the beautiful Equator label from Nairobi, Kenia. I have another Equator 45 , Malaika by Fadhili William & the Black Shadows from 1963, but I suppose that is a little too famous so I didn´t record it. 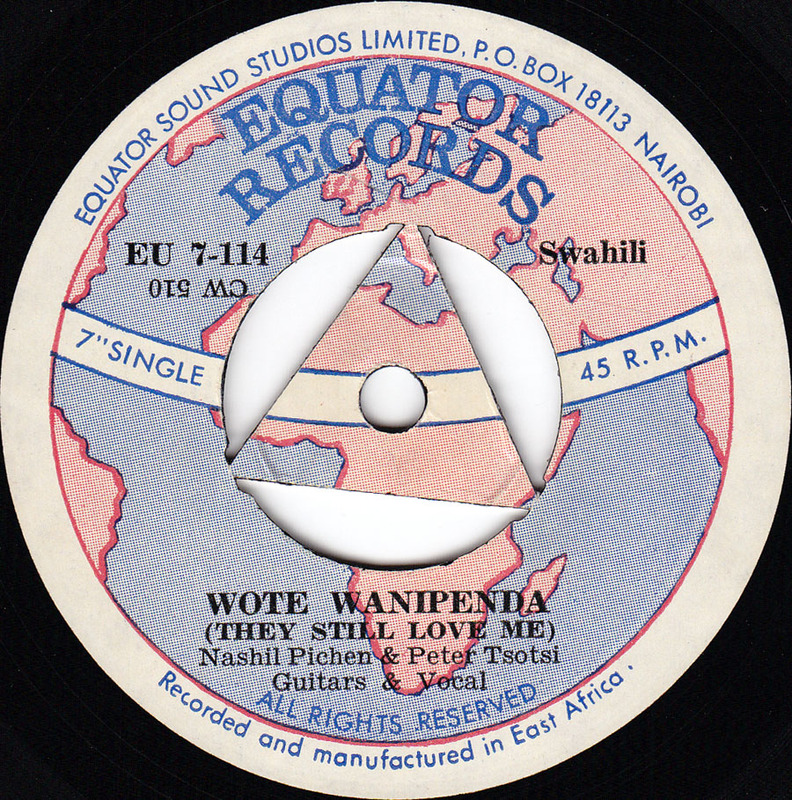 I wish I could listen to one of the Twist-related 45´s (Bush Baby Twist, Bachelor Boy Twist, Sukuti Tribal Twist) that are listed in the Equator records discography here.